Absolute Radio Classic Rock can now be heard on local DAB digital radio multiplexes serving Cardiff & Newport, Exeter & Torbay, Bath & West Wiltshire, Coventry and Ayr. Absolute Radio 00s (noughties) is about to launch on the London II DAB radio multiplex. Coldplay to Keane, Eminem to Elbow, Arctic Monkeys to Amy Winehouse, Scissor Sisters to The Streets and Kings of Leon to The Killers, the station will play tracks from the first ten years of the millenium. It launches at 10am on 10th December and joins Absolute Radio, Absolute Radio Classic Rock, Absolute Radio extra, Absolute 80s and Absolute Radio 90s on DAB - both extra and 90s are available nationally on DAB. Voice Radio, a community station currently broadcasting online for Caerphilly County Borough, will launch on local DAB digital radio serving Cardiff and Newport on 4th January 2011. A launch event will take place on Saturday, 8th January. Absolute Radio Classic Rock is taking over classic hits station Gold's DAB digital radio slots in Central Lancashire, Humberside, Leeds, Liverpool, South Yorkshire, Tyne & Wear and Teesside. IBC Gujurati, a radio station providing news, information and music in the Gujurati language, is due to launch on London's 3rd DAB digital radio multiplex soon. The station joins IBC's Tamil service on the multiplex. New station French Radio London serving the French community in London (surprising, that! Ed) is taking over the DAB digital radio slot currently occupied by Smooth Radio. 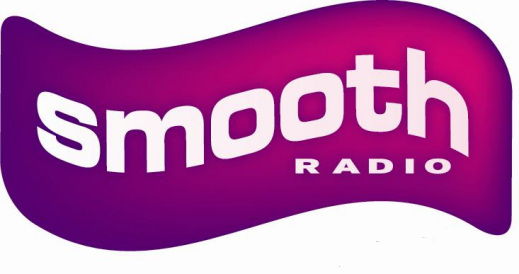 Smooth Radio officially launched across the UK on Monday on the national DAB digital radio multiplex. French Radio promises music output covering a wide range of sounds from around the globe including coverage of gigs, sport and community events as well as interviews and debates. With Smooth Radio launching across the UK, classic music station Rock Radio is launching soon on the regional DAB digital radio multiplexes serving Yorkshire and South Wales & Severn Estuary (West of England). The station broadcasts to Glasgow on 96.3 FM and Manchester on 106.1. It can also be heard on DAB in the North-East of England and throughout Central Scotland. New music station Chance DAB Radio is looking to bag a place on the local DAB digital radio multiplex serving Southend and Chelmsford, Essex. Giving unsigned bands a chance to hear their tracks broadcast alongside music from the last twenty years and current pop music, the station has been issued with a broadcast licence. Two BBC stations and local services for the two counties are first in the revised list. Two Welsh nation radio stations and Dee 106.3 confirmed in revised line-up due for 2011. Sussex services see expanded coverage area as new local digital radio area is announced. Red Dragon, Trent and Leicester Sound names to disappear in challenge to BBC's flagship youth station. Modern rock and heavy metal station NME Radio is back on, this time with new presenters Chris Blumer, Ben Evans and Owen Davies. It's now being run by Nation Radio owners Town and Country Broadcasting, so it comes as no surprise that presenters are shared between both stations. No news yet on which other multiplexes it may appear. Classic 90s pop and rock music station Absolute Radio 90s is broadcasting nationally for a five weel trial period from the end of August through to the end of September. It can also now be heard on DAB radio in and around Cardiff and Newport, South Wales. It's also broadcasting to DAB listeners in Bristol, Essex, London, Reading & Basingstoke and Swindon. Listeners with a DAB digital radio may need to perform an "Autotune" or re-scan to pick up the station. Absolute Radio 90s replaces dabbl in Cardiff & Newport, which is taking a break from DAB. Pure's new model is available now, ensuring there's a DAB radio for you with Mi. Live Premiership football commentary station Absolute Radio Extra joins national DAB radio this weekend, 7th August 2010. The station will also broadcast comedy and live music from festivals and gigs. It joins outlets talkSPORT, BBC Radio 5 Live and 5 Live Sports Extra on DAB digital radio for coverage and commentary of Premiership football matches for the 2010/2011 season and beyond. Listeners with a DAB digital radio may need to perform an "Autotune" or re-scan to pick up the new national station. The station officially broadcasts its first commentary on 14th August, but has launched a test channel on DAB radio ahead of its official launch. Melodic music station Smooth Radio has launched nationally on DAB digital radio. The station can already be heard on several regional DAB multiplexes, on DAB and FM in London and on DAB and FM in Glasgow. It broadcasts to several regions on FM, including the East and West Midlands, North-West and North-East of England. The station is set to lose its regional programming and presenters in England, when it transforms fully into a national station, by October 2010. Some locally-made programmes will continue for Scotland's Smooth Radio, based in Glasgow. IBC Tamil, a radio station providing news, information and music for the Tamil community, is due to launch on London's 3rd DAB digital radio multiplex soon. Oasis and Blur, Primal Scream and the Chemical Brothers will all feature on Absolute Radio 90s, which is due to launch on DAB digital radio in London at 10am on Monday, 21st June. The station is setting its sights on playing 90s classics from the Britpop era and beyond. The station will take the place of Absolute 80s on London's second DAB multiplex. Absolute 80s can be heard nationally on DAB digital radio in England, Scotland and Wales. Panjabi station Panjab Radio is leaving the national DAB digital radio multiplex today, but will maintain its service online, on local DAB in Bradford & Huddersfield, the West Midlands' regional multiplex and on London's 3rd DAB multiplex. The station joined national DAB in December 2009. Current pop music station New Fire Radio can now be heard on DAB digital radio in and around Bournemouth and South Hampshire, having recently joined the local DAB digital radio multiplexes for these areas. Eighties hit music station Absolute 80s has taken to the DAB airwaves on the national commercial DAB radio multiplex. Melodic music station Smooth Radio is back on the South Wales and Severn Estuary regional DAB digital radio multiplex, taking Jazz FM's place. The station for Hertford, Ware, Welwyn Garden City and Hatfield, Hertbeat FM, has relaunched as 106 Jack FM, playing current and classic hits from the sixties to the current day. After bagging a space on the regional DAB radio multiplex last June, Trans World Radio launches on digital radio in the North-West of England on 1st April. Listeners in the region can find the station by performing an "Autotune" or "Autoscan" on their DAB radio. New and contemporary rock music station Nation Radio has rejoined the South Wales and Severn Estuary regional DAB digital radio multiplex, after originally disappearing from DAB on 27th July 2008. The station popped up again on DAB on 1st March 2010. It takes the place of classic rock station The Arrow and joins London's Xfm as the second new rock and indie station on the multiplex. Don't forget to give your views on the closure of BBC 6 music and BBC Asian Network on national digital radio via the BBC Trust website, before 25th May 2010. Contemporary pop music station Fire 107.6 is due to join the Bournemouth local DAB digital radio multiplex shortly. New local station Radio Plymouth has also bagged a place on the local DAB multiplex serving the city of Plymouth. The licence was originally awarded to Diamond FM, backed by Australian investor Macquarie Bank, however the media regulator Ofcom was forced to re-advertise the licence several years later when Macquarie made a swift exit of the UK radio market. Swappage scheme for DAB digital radio?